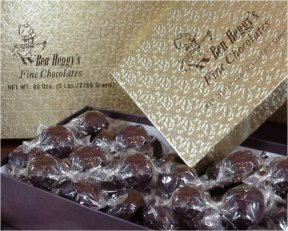 Heggy's Candy Company has been a premium maker of handcrafted chocolates and candies for the past 80 years. Today we are taking our fine tradition combined with modern technology, to now offer secure online ordering for your convenience. Whether you live in Ohio or anywhere in the continental U.S. or Canada, you can now enjoy the rich flavor of Heggy's candies anytime and anywhere. Just click on the links below to browse our online catalog and follow the links to add items to your shopping cart. 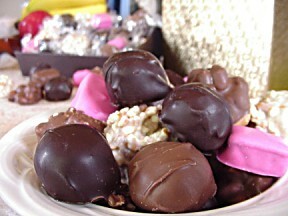 You can have Heggy's chocolates and candies delivered right to your door anytime. Our candies are shipped fresh direct from the factory all year long. Your shipping charges are calculated at the time of your order and based on the shipping address enter into your order form. By linking directly to the UPS Shipping Computer, Heggy's offers the most cost effective and accurate shipping solutions currently available. Shipping charges are calculated by the package and per address in the Continental United States only. Please email: info@heggys.com for rates to P.O. Boxes, Canada, Alaska and Hawaii. Heggys.com guarantees your order will arrive in perfect condition or we will refund, credit or replace it. For multi-pound orders please use the comment section at the bottom of the order form if you would like different size gift boxes. Choose from 1, 2, 3, & 5 lb. boxes. For example:If you placed an order for 5lbs. of light butter cream chocolates, would you like this in 5 one pound boxes or all in a 5 pound box or etc. Please Note* To ensure prompt delivery of your order, please place full pound orders only. Half pound orders can not be fullfilled and will delay your delivery time. Heggy's gladly accepts VISA and Mastercard for your convenience. You may click on the link to the left to go directly to our secure online order form. We also accept personal and business checks, however, you will have to allow an extra week on delivery. All of our products may have come in contact with nuts or nut oils. If you have an allergy to nuts we recommend you do not consume our products.